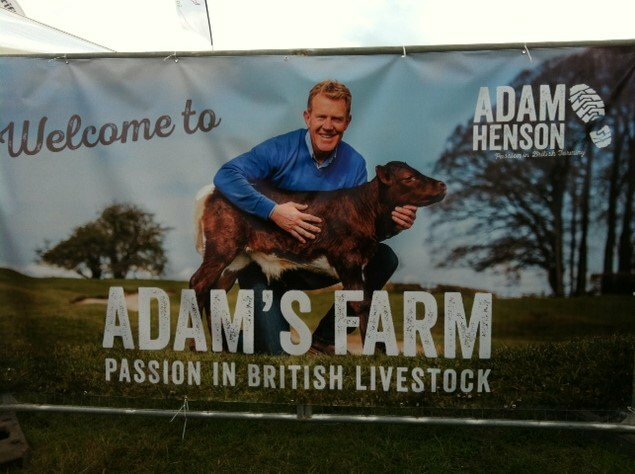 What a great time we had at Countryfile Live last weekend. It might have rained a bit and the high winds at one point sent the gazebo flying across the field but nothing could dampen our enthusiasm. 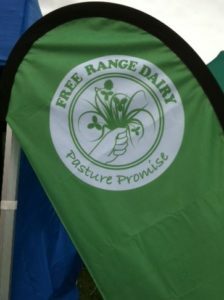 We were just really excited to be there and have the chance to find out what people really think of Free Range Dairy Farmers Milk. Countryfile Live is a great idea. You get the chance to learn more about farming and animals, there’s a great food area championing all sorts of different produce and all set in the beautiful grounds of Blenheim Palace. 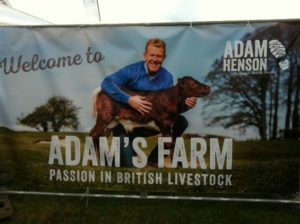 We were in Adam Henson’s Farm Area with Free Range Dairy Farmers stall handing out Pasture Promise Free Range Milk to the visitors. We must have seen hundreds of people over the four days and we got fantastic feedback, especially from the children. One little boy liked it so much he drank all the samples on the tray as I chatted to his mum. People said they loved the milk, that it tasted like proper milk, creamy, sweet tasting and super fresh. For many older people, the taste of unhomogenised, whole milk brought back fond childhood memories, of times when they had visited a local farm and were offered fresh milk straight from the tank. Others recalled the days of school milk in little glass bottles and having to get the milk off the doorstep before the cheeky birds pecked a hole in the foil caps. 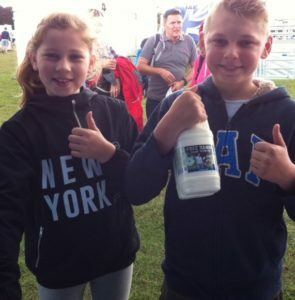 What was really evident from our time at Blenheim was the important role milk has played in our daily lives for generations and the value it has today in raising strong healthy children. In a world where so many sweet tasting, sugary drinks appeal to the palate of children, it is vital we offer them a healthy alternative that tastes great. Judging by the smiles on the faces of all those who sampled Free Range Dairy Farmers Milk , we think our farmers can provide it. People are beginning to realise that not all milk is the same; its flavour and nutritional value is defined on the farms that produce it and, by segregating milk from traditional, pasture based dairy herds, we can offer so much more than commodity ‘white stuff’. One thing that always surprises me, and the people we talk to, is that they don’t realise that milk doesn’t always come from cows that graze outdoors. When they find this out they understand how important it is to have a clear labelling on milk. Whilst we have great British dairy farms all over the country that can deliver free range milk, from cows grazed for at least half of the year, people in many parts of the country have been denied the chance to enjoy it. This is because some big dairies and retailers don’t want to commit to sourcing milk from free range cows. But Asda offered to support us by stocking Free Range Dairy Farmers Milk in 109 of their stores from March 1st this year, giving us a great opportunity to reach discerning milk drinkers across the country and, in May, Asda extended the offer to over 360 stores . There are other retail outlets all over the country now stocking free range milk bearing the Pasture Promise logo and we are working with farmers who offer milk direct from their farms too.